New “Graduate School of Biomedical and Health Sciences” will be established in April 2019. The establishment of the Graduate School was officially approved on August 20, 2018, after Hiroshima University submitted a proposal for the establishment plan to Ministry of Education, Culture, Sports, Science and Technology Japan. 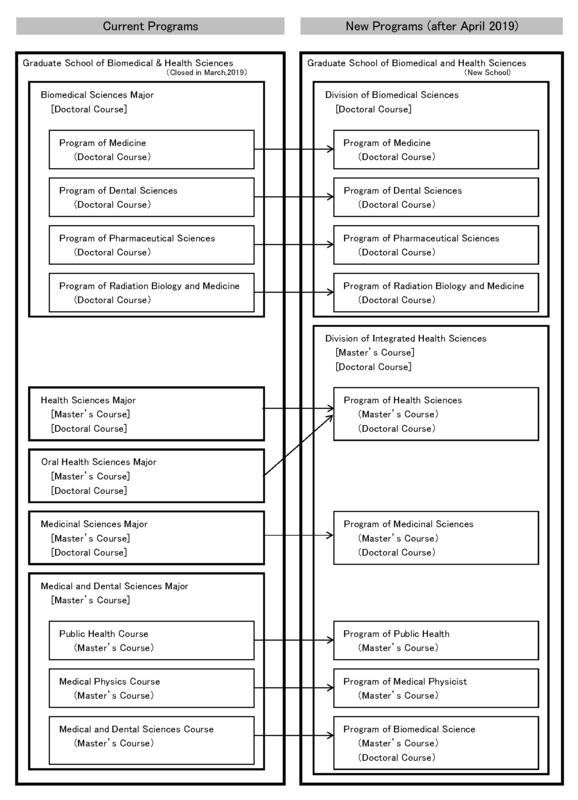 New “Graduate School of Biomedical and Health Sciences”, reorganized into 2 divisions from current 5 majors as indicated below will be established in April 2019. The application process to seek for students will open upon completion of a new application guideline.